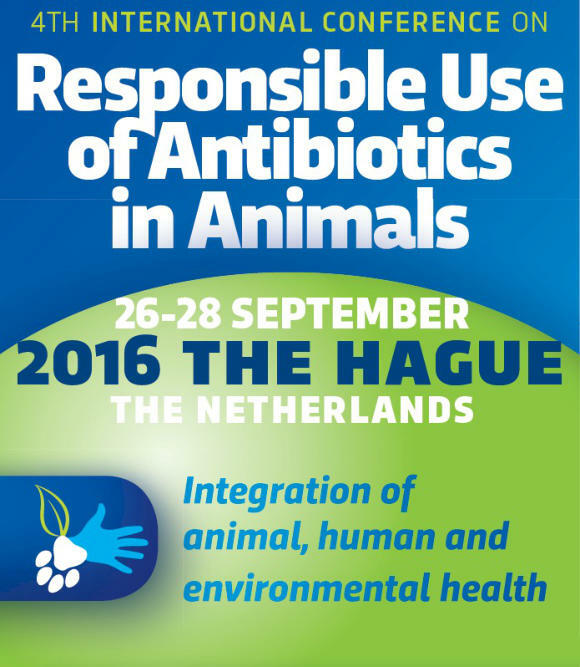 WELCOME It is with great pleasure that we announce the 4th International Conference on Responsible Use of Antibiotics in Animals, to be held in The Hague, the Netherlands, on 26-28 September 2016. Antibiotics are used worldwide both in veterinary and human medicine. The widespread use has heightened concerns about the emergence of antimicrobial resistance, which impacts animal welfare, public health, food safety and environmental exposure. 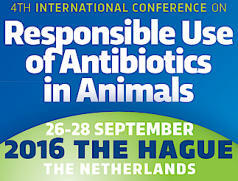 The international conference series on Responsible Use of Antibiotics in Animals is an initiative independent from commercial companies, official organisations or authorities. The objectives of the initiative are: • to give an overview of the ongoing activities with respect to the issue of antibiotic use in animals and antimicrobial resistance in animals and humans • to learn about the expectations of different parties involved • to focus on innovative approaches to disease prevention, rapid diagnostics and alternatives to antibiotics • to identify the areas which need further research and action with respect to the current scientific knowledge and political expectations Key themes of the 4th International Conference on Responsible Use of Antibiotics in Animals include: • integration of animal, human and environmental health • approaches at global and national levels • engagement of stakeholders • innovations in disease prevention and detection, including gut health, alternatives to antibiotics, rapid diagnostics, etc. • new areas to explore The conference is designed for the animal health industry and the medical community; all users of antibiotics in animals, such as veterinarians, animal feed producers, livestock and aquaculture producers, and nutritionists; food processors and manufacturers, and retailers; policy makers and regulatory agencies; researchers in universities and research institutes; and others with an interest in resistance and in the sustainability of antibiotics, such as educators, agricultural extension staff, consultants, and consumer organisations. The Advisory Board members of the 4th International Conference on Responsible Use of Antibiotics in Animals are looking forward to meeting you at the Hague, the Netherlands! The Hague, a city of many faces A centre of government, a royal residence, an international city of peace and justice, great for shopping, visiting museums, etc. CONFERENCE HISTORY In 2005, the series started with the international debate conference ‘Antimicrobial Growth Promoters: Worldwide Ban on the Horizon?’ reflecting the state of AGPs and alternatives at that time. The second conference took place in 2011 and focused on exchanging views on the path forward. Key focuses of the third conference in 2014 were current insights, sustainable initiatives and transparency. Historical The Hague Visit the Mauritshuis museum housing a world famous collection from the Dutch Golden Age. Panorama Mesdag in The Hague A 360 degree vista of the sea, the dunes and the fishing village of Scheveningen as it was in 1881. CALL FOR ABSTRACTS The Advisory Board of the 4th International Conferene on Responsible Use of Antibiotics in Animals issues a call for abstracts for poster presentations. Interested participants from research institutes and industry are strongly encouraged to submit abstracts for posters. Key themes of the conference include: • integration of animal, human and environmental health • approaches at global and national levels • engagement of stakeholders • innovations in disease prevention and detection, including gut health, alternatives to antibiotics, rapid diagnostics, etc. • new areas to explore Important deadline • Submission deadline for poster presentations: 19 August 2016 Expired! Rules for submission • Abstracts must be sent by email to: antibiotics@bastiaanse-communication.com • Abstracts must be submitted in English and shall not exceed 400 words. • Abstracts will be accepted in Microsoft Word only. • The Advisory Board will determine whether the abstract will be accepted for a poster presentation. • Submission of an abstract acknowledges the author’s acceptance for the abstract to be published in the book of abstracts. • Presenting authors of abstracts must be registered and paid participants. Posters will be displayed throughout the conference. Poster size: A0 portrait (841 mm x 1189 mm). 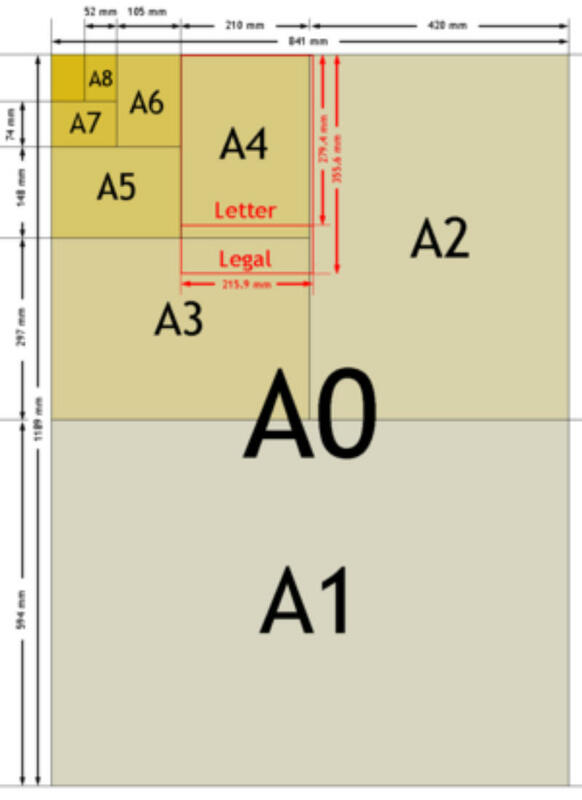 Appropriate means of affixing the poster to the poster board will be supplied on site. The Hague, royal city Noordeinde Palace is currently used as a working and reception palace of our king Willem Alexander. CALL FOR ABSTRACTS The Advisory Board of the 4th International Conferene on Responsible Use of Antibiotics in Animals issues a call for abstracts for poster presentations. Interested participants from research institutes and industry are strongly encouraged to submit abstracts for posters. Key themes of the conference include: • integration of animal, human and environmental health • approaches at global and national levels • engagement of stakeholders • innovations in disease prevention and detection, including gut health, alternatives to antibiotics, rapid diagnostics, etc. • new areas to explore Important deadline • Submission deadline for poster presentations: 19 August 2016 Expired! Rules for submission • Abstracts must be sent by email to: antibiotics@bastiaanse- communication.com • Abstracts must be submitted in English and shall not exceed 400 words. • Abstracts will be accepted in Microsoft Word only. • The Advisory Board will determine whether the abstract will be accepted for a poster presentation. • Submission of an abstract acknowledges the author’s acceptance for the abstract to be published in the book of abstracts. • Presenting authors of abstracts must be registered and paid participants. Posters will be displayed throughout the conference. Poster size: A0 portrait (841 mm x 1189 mm). Appropriate means of affixing the poster to the poster board will be supplied on site. 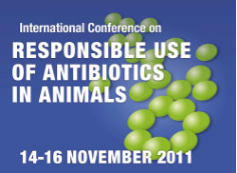 PROGRAMME A great programme has been arranged by the Advisory Board of the 4th International Conference on Responsible Use of Antibiotics in Animals. The programme includes over 60 presentations by internationally renownded experts in the field of antibiotic use and resistance. • The programme at a glance can be accessed here. • The latest conference programme can be viewed here. The Hague, international city of peace and justice Some 160 international institutions and organisations in The Hague are working together for a safe and just world. • The programme at a glance can be accessed here. • The latest conference programme can be viewed here. 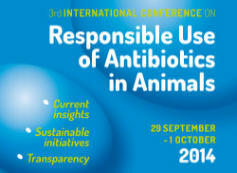 PROGRAMME A great programme has been arranged by the Advisory Board of the 4th International Conference on Responsible Use of Antibiotics in Animals. The programme includes over 60 presentations by internationally renownded experts in the field of antibiotic use and resistance. .
BUSINESS OPPORTUNITIES: A PROFITABLE INVESTMENT! The 4th International Conference on Responsible Use of Antibiotics in Animals offers various business opportunities including: • Sponsoring of the conference Benefit from excellent name recognition! Sponsoring opportunities covering lunch, evening functions and conference programme material also exist. • Exhibiting at the conference Gain valuable direct exposure! Parallel to the conference a commercial exhibition will be organised in which presentations of services and products are given. Participants of the conference have ample opportunity to visit the exhibition during the various breaks. More information on the business opportunities can be downloaded here. Madurodam, located in The Hague A variety of Dutch highlights in a scenic outdoor miniature park! REGISTRATION FEE AND DISCOUNT The registration fees for the 4th International Conference on Responsible Use of Antibiotics in Animals include the book of abstracts, lunch and coffee/tea as announced in the timetable, and The Lounge Party on Monday 26 September 2016. The registration fees do not include hotel accommodation. The official conference dinner will be organised on Tuesday evening 27 September 2016; reservations can be made on the Conference Registration Form. Please note: dinner tickets cannot be bought on site. Student (bachelor/master/PhD) EUR 390 The number of students is limited to 20. Please note: registration will only be accepted if the Conference Registration Form is accompanied by (i) a proof of studentship and (ii) an abstract for an oral contribution or a poster presentation; otherwise registration will be denied. Universities EUR 590 Registered and paid before 15 May 2016 Expired! EUR 690 Registered and paid before 10 July 2016 Expired! EUR 790 Registered and paid before 26 September 2016 Regular EUR 725 Registered and paid before 15 May 2016 Expired! EUR 825 Registered and paid before 10 July 2016 Expired! EUR 925 Registered and paid before 26 September 2016 Special EUR 450 Every paying participant (except for registered students) may be accompanied by one participant for the special registration fee of EUR 450 provided that the following conditions are met: (i) the paying participant and the accompanying participant are employed with the same company/organisation at the same location; and (ii) the paying participant and the accompanying participant register and pay (with one invoice) at the same time. Registration and payment conditions All the amounts mentioned are exclusive of 21% VAT. The place of delivery is in the Netherlands, where VAT always applies, even for foreign participants and/or companies. • An invoice including bank transfer details will be sent by the Secretariat after submission of the Conference Registration Form. Payment can be made by bank transfer only, free of all bank charges and commission. Payment by credit cards is not possible. • Discounts are valid only if the registration and payment terms have been met. If the invoice is not paid on time, the discount arrangements lapse automatically. • Payment must be received prior to the conference date. If the payment is not received on time, admission to the conference will be refused. Cancellation policy Refunds, minus EUR 190 administrative charge, will be made for cancellations received up to 26 August 2016. Cancellations are only valid if notice is received in writing. For cancellations made after 26 August 2016 no refunds will be paid. However, a participant may designate a substitute delegate. The Hague, North Sea beach The beach is full of adventure. No matter the season, you can enjoy the wide variety of restaurants and entertainment. Thank you for registering for the 4th International Conference on Responsible Use for Antibiotics in Animals! You will receive a confirmation and an invoice by email shortly.